With every new release of the windows operating system, there is always something totally new that comes out with it. This time Microsoft has designed their new OS with both Tablet and PC users in mind, bringing in a new range of features for every user. 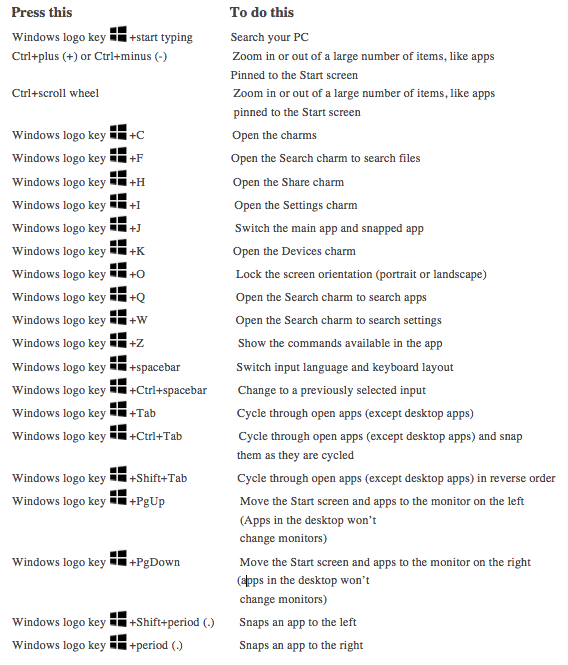 The new Windows 8 for pc users comes with new keyboard shortcuts that are unique from other operating system before it. This according to Microsoft is meant to help navigate and utilize the new operating system's interface and features. Here are new Keyboard shortcuts for windows 8.